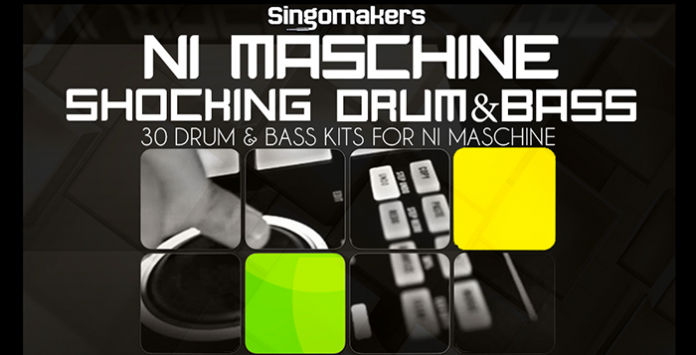 Singomakers are very proud to present this brand new 30 NI Maschine Shocking Drum & Bass Kits Collection! Let us shock you from the beginning with a 12 minute long demo track! With this insane sample pack we were able to create at least a 3 hour long Drum & Bass track! Powered with 30 NI Maschine Kits, 442 Wav samples and 12 NI Massive patches this pack becomes an insane tool for any NI Maschine user and a great tool for any DRUM & BASS Producer! In detail expect to find 308 Mb including 442 Wav samples, 15 Full Track Maschine Kits, 10 Bass Groups Kits, 5 FX Groups Kits and 12 NI Massive Presets! NI Maschine Shocking Drum & Bass is a great tool for live performances and for track productions –with this pack you get a huge amount of great kicks, snares, percussions, hi-hats & rides, plenty of fat modulated bass shots, synths, stabs and NI massive patches all spiced up and mixed with great mixing tools within NI Maschine!